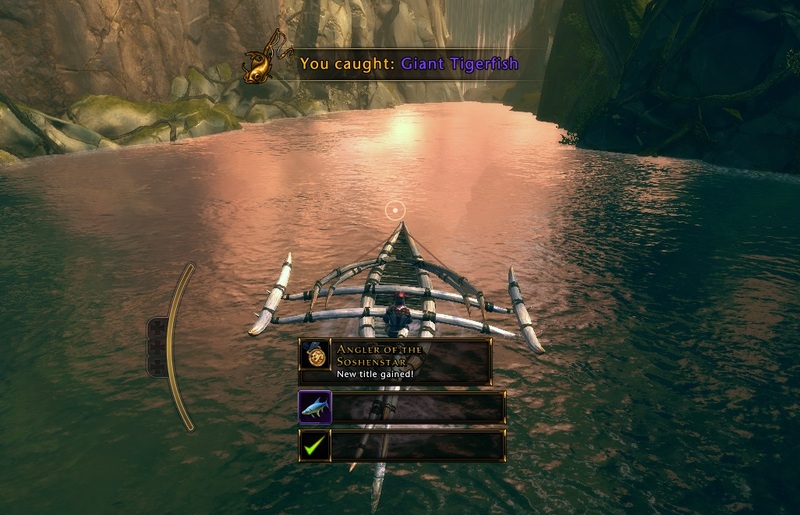 I don't know what possessed me this weekend, but for some reason I decided to go to Soshenstar River and do some fishing, something I still hadn't even tried in Chult before then. I didn't know what purpose it was going to serve, I just wanted to do it. It didn't turn out to be very useful (the fish can be traded for Chultan riches, but over an hour spent fishing didn't really make me particularly wealthy), but by the time I had used up all the lures that I had accumulated while questing, I had managed to catch one of every fish available, which earned me a new achievement and title. I call that a win I guess?